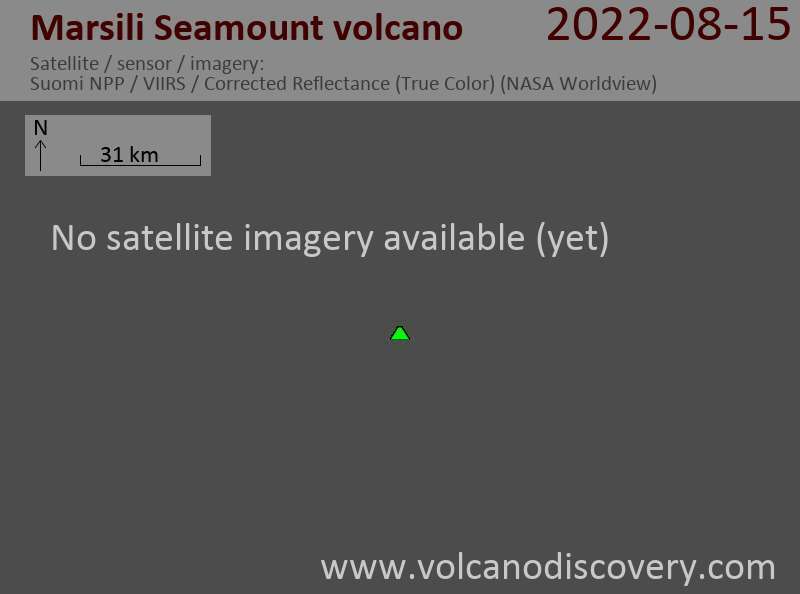 Marsili is a large, active submarine volcano in the southeastern central Tyrrhenian Sea, located about 175 kilometers (109 mi) south of Naples. It rises about 3,000 m (9,800 feet) from the sea floor and its peak and crater reach within 450 m (1400 ft) beneath the water surface. A recent study has shown that submarine, explosive eruptions occurred at Marsili in historical times. The volcano has the potential (an is likely) to erupt again in the future. The main hazard from the volcano is tsunami generation if a larger collapse of the unstable volcanic edifice occurs during or after an eruption. Недавно опубликованное исследование показывает, что подводных взрывных извержений произошло в подводный вулкан в исторические времена. Таким образом вулкан должны быть включены в качестве одного из еще действующих вулканов Италии.